Xeriscape — what a fun word! Add it to your vocabulary and add it to your Ft. Worth landscaping plans. Xeriscaping is landscaping that has been designed specifically for yards located in areas that are vulnerable to drought conditions. 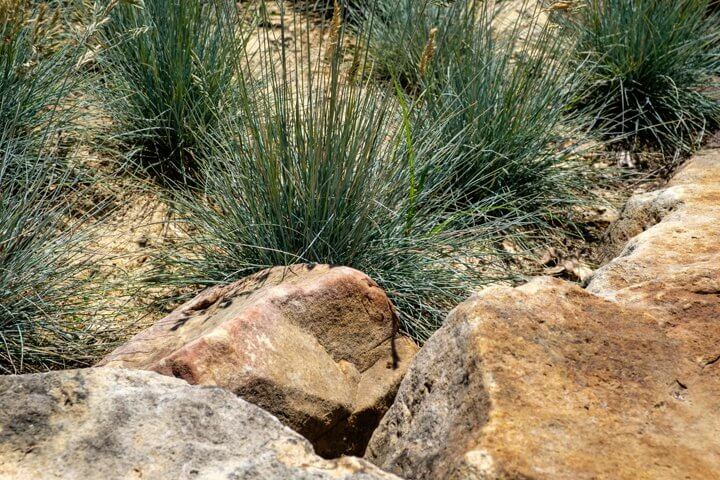 Coming from the Greek word xeros which means dry, xeriscape translates to dry landscape. If you plan on impressing your friends with this new word, then know that the “x” is pronounced like a “z”. Got it? Zer – eh – scape. While Ft. Worth landscaping may call for drought-resistant plants, xeriscaping doesn’t mean you have to turn only to cacti and other desert plant materials. With this practice you can use a many different and lovely plants; you will just need to apply reasonable measures to help conserve water. A xeriscape plan calls for drought-resistant varieties that are naturally acclimated to long, dry Ft. Worth weather. Your plan needs to begin with determining how dry the landscape will be. Your research results will give you the information you need to combine those plants that have similar water requirements. This allows you to water sections of your garden appropriately and wise choices mean you will be required to water less frequently. Keep in mind that a native plant purchase through a nursery may not be toughened to the drought resistance of one growing in the wild. It may take a year or two for the root system to grow deep into the soil before to support the plant in very dry conditions. As plants mature, they become hardier and require less watering. Attention to a new xeriscape is very important for long term success. In Texas, autumn is the most favorable time to install a xeriscape because the plants are dormant. This gives them a cooler winter and spring to settle in before the heat and dry conditions of summer arrives. For Ft. Worth landscapes, irrigation has become essential. In xeriscape the fundamental principal is to use a low pressure system which is built to deliver water only to the root zone. This method is important for drawing the root system down and deep to take advantage of low lying moisture. After a couple of seasons, deeply rooted plants may be able to self-sustain during drought periods. It is not recommended to remove or stop using the drip system completely once plants are established. For a successful landscape you don’t want the plants merely to survive but rather to be bountiful in your yard. With proper watering and wise plant choices abundant foliage and bright blooms may be present throughout the seasons. The deep rooting that you want can be found in Texas native plants and those species typically are found on hillsides and in gravel-like soil along dry washes. These natives have evolved to root deeply to reach higher moisture levels. If your soil is heavy clay the rooting may be thwarted and the soil may not hold enough water for plants to flourish. Work with a local landscape designer to determine what amendments will need to be added to your soil to match the essentials of the plants you choose. A professional will be able to easily make this determination and make your xeriscape abundant. Once planting is complete, you will need to add about a two inch layer of rich organic mulch on top of the beds. This will reduce the loss of moisture and also shade the soil so it doesn’t get to hot in the heat of summer. An added bonus is that the mulch will help reduce the growth of weeds in your landscape. The choice of product should be what best fits in with the overall look of your landscape design. A very popular choice is a triple ground bark which offers a dark, natural looking ground cover. Some folks prefer the look of a chunkier bark and in the Ft. Worth landscaping fine gravel can offer a naturalist southwestern appeal. Your xeriscape does not have to look like a western desert landscape. As long as you select plant material that is adapted to the Ft. Worth climate, there are no limits to the style you choose for your yard. If you are not a seasoned Texas gardener, you may want to work with a landscape designer to create your xeriscape. Their knowledge of plants that do well in your region will be very beneficial to your success. They will offer knowledge about versatile native plants along with less well known varieties that will allow you to expand the possibilities. The information that they share with you will make you a more successful gardener for seasons to come. Have fun with your xeriscaping. And know that besides having a gorgeous Ft. Worth landscape, you have done your part to conserve water in your area.